If you visit the Seelye Mansion ond would like a remider of your tour, or if you cannot come in person but would like the historical overview, here is your book! Written by Cynthia Manz in 2010, the book includes photos and descriptions of Doc Seelye's medical company and the 25-room 1905 stately home which he built. 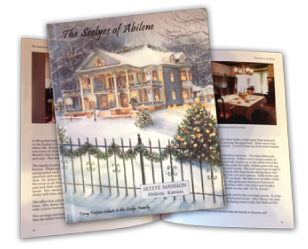 Purchase your Seelye Mansion memento here. 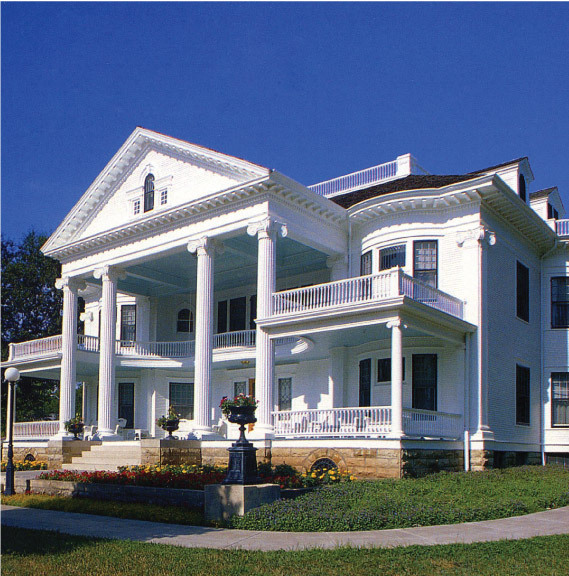 The Seelye Mansion is one of the finest historic homes in Kansas. The Patent Medicine Museum has many artifacts of the A. B. Seelye Medical Company. Founded in 1890, more than 100 products were sold over a 14-state area. See the elegance of early 20th century architecture and furnishings when you visit this historic midwestern home.